I’ve had the privilege of being friends with Jenny ever since we were college teammates over 15 years ago. During that time, I’ve watched Jenny continue to improve time and time again through hard work and determination. I think she is an excellent example of the progress that you can make as a runner when you put together years of solid training and continue to push yourself. It’s been an inspiration to watch her continue to set PR’s and to see her continual drive to improve. I asked her to participate in this series because she never shies away from hard work. And I knew that whatever workout she chose would be a great mental and physical challenge to include in your training. I hope that you find her thoughts helpful as you think about key workouts for your next training cycle! I joined the cross country team my junior year of high school at the urging of my gym teacher after running the mile in class, because I enjoyed the running part of all sports, and because I had friends on the team. Since my closest high school friends were runners, I decided during the first week of school to walk on to my Division III college team, where I made more lifetime friendships and improvement became the theme of my career. I slowly discovered that I could hold my own in workouts and races, and in my senior year, I qualified for cross country Nationals and set a school record in the 5K on the track. After college I continued training to be competitive in half and full marathons, and currently as the mom of a 15-month-old, I run daily with my son for health & happiness, hoping to maintain some of my fitness! 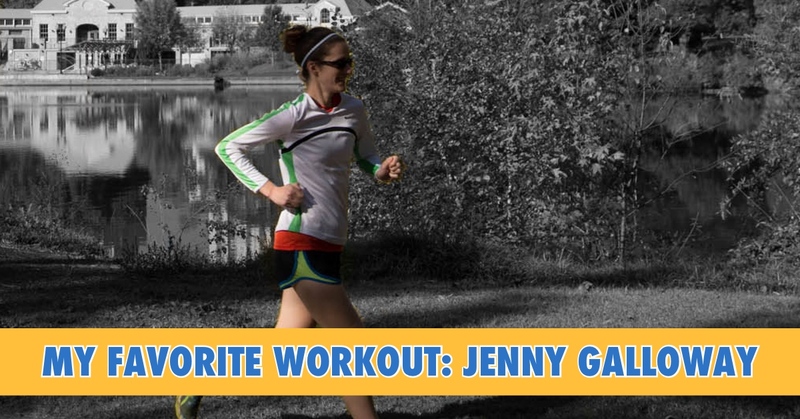 After my husband and I experimented with several different versions of fast-finish long runs, Jeff Galloway (my father-in-law) suggested that we try a workout along these lines. His version of this workout consists of alternating a mile at half marathon pace with an easy mile within a long run. I like long runs, hard workouts, and pushing my limits. This workout is physically and mentally challenging. It always feels like an accomplishment to get through it. My husband and I used to incorporate tempo runs at the end of some of our long runs to practice running hard on tired legs. But I think that this workout is a more effective way for me to run a fast long run. It’s a great way to focus on pacing – you end up spending a lot of time running race pace and the repetition and short rest allow you to get into a rhythm. The first time I ran this workout was a couple weeks before my half marathon PR – it was a huge confidence booster for me, and I still remember the awesome feeling of nailing that workout! In my experience this workout is best for half and full marathon training. I think that it’s beneficial to start running this workout early in a training cycle in order to slowly build up the total mileage and number of repeats (starting with a manageable number). When preparing for a race, once I add workouts to my training, I like to run this workout every 3-4 weeks in place of a long run. 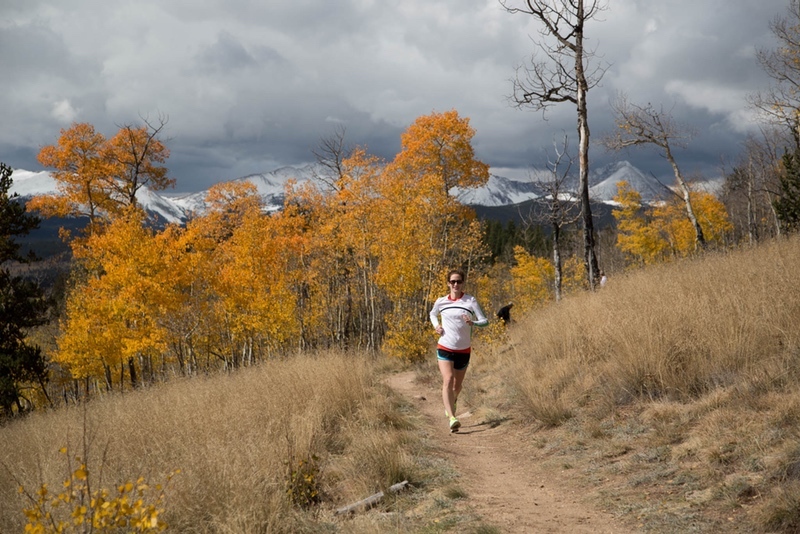 Within the workout the first few repetitions at race pace should feel relatively relaxed. As the workout progresses, if you’re struggling to hit pace on the hard repetitions, don’t push it. Instead, finish the run at your normal long run pace and try the workout again in a few weeks! While repeats on the track can help me dial into a pace and boost my confidence, as with any long workout with a lot of pounding, consider running this workout on a crushed gravel path or on grass – the softer surface won’t beat you up as much as an asphalt path or the track.